Some of you may remember the review that I did, some time ago, of The Lego Adventure Book from No Starch Press. I just found out that this book and others from No Starch Press will soon be available in German! How cool is that? 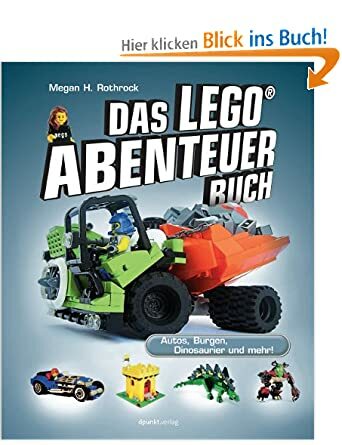 Additionally, No Starch Press' Unofficial Lego Technic Book is also now available in German. Both can be purchase from Amazon.de. Speaking of No Starch Press, expect another review of one of their recent offerings, coming soon to Built from Ink and Tea! In other news, registration for BrickCon 2013 is now open, so if you love Lego and will be in the Seattle, Washington, USA area between October 3rd and 6th of this year, I highly recommend checking it out.